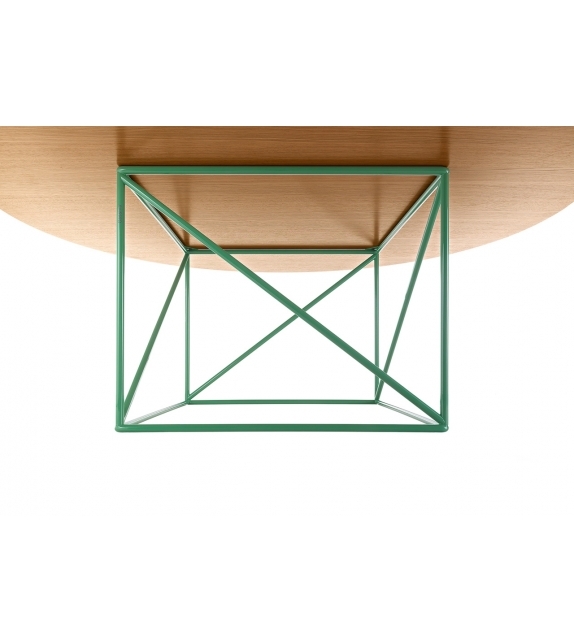 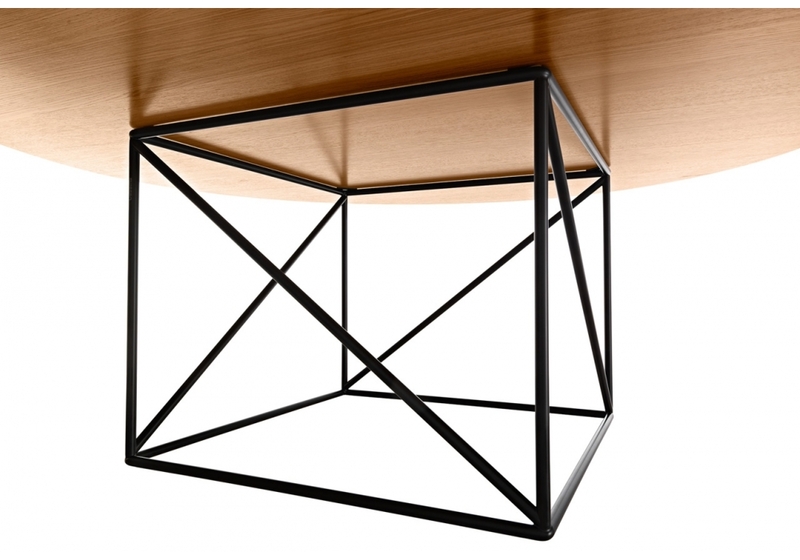 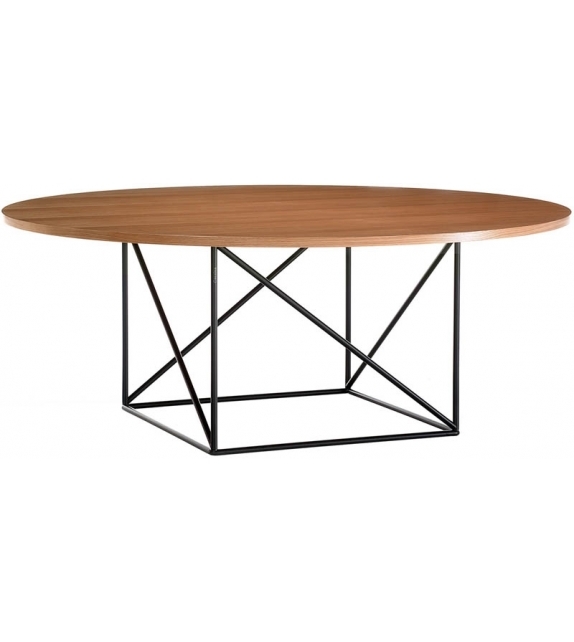 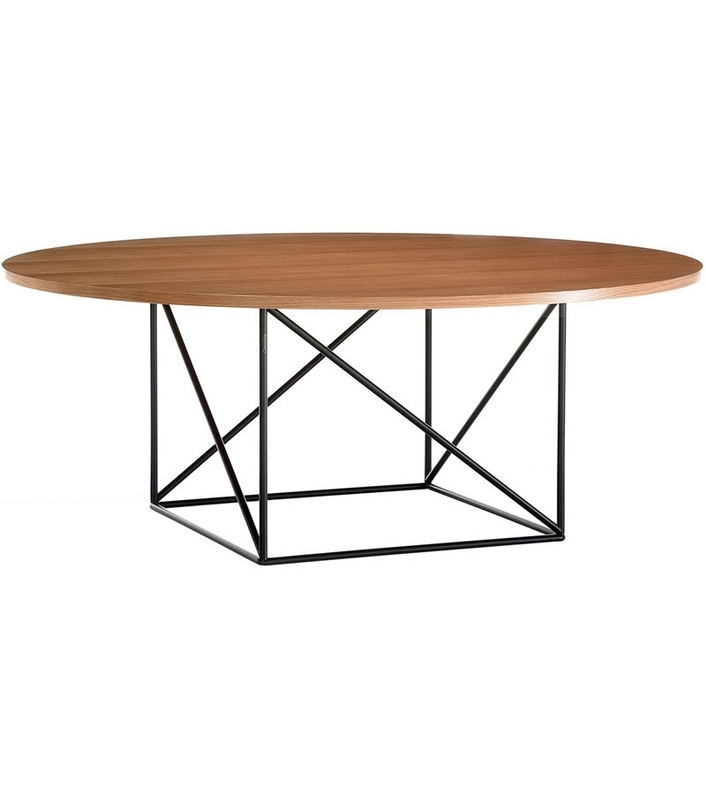  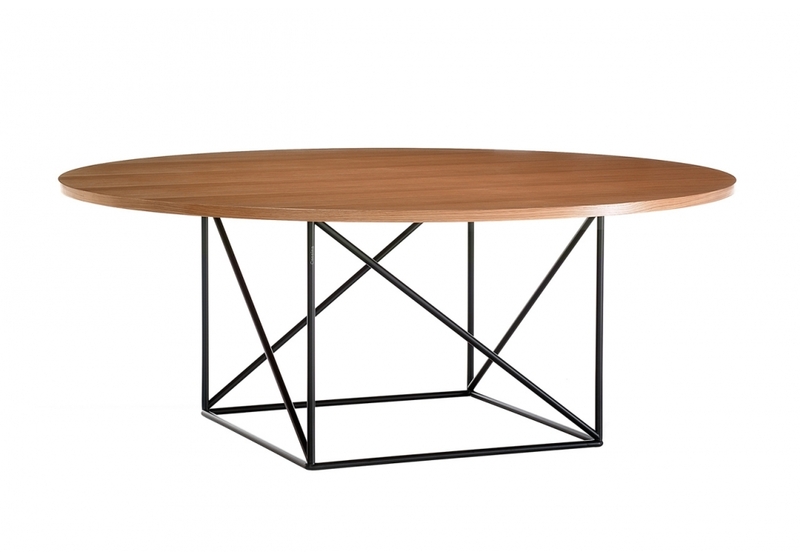 LC15 Table De Conférence is the table designed by Le Corbusier for Cassina. 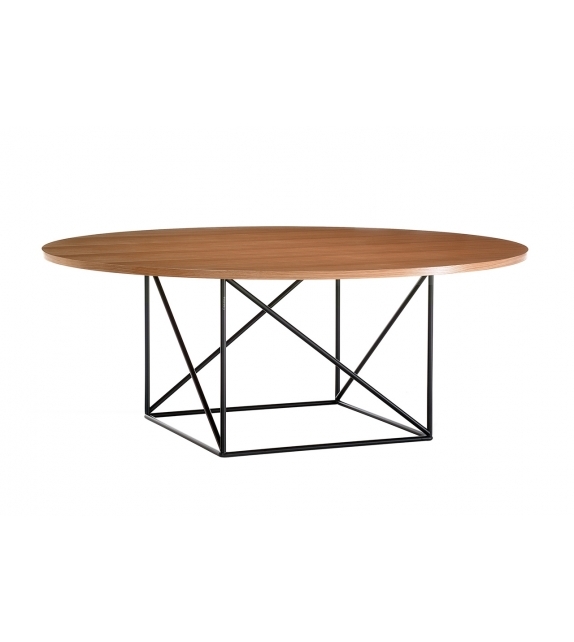 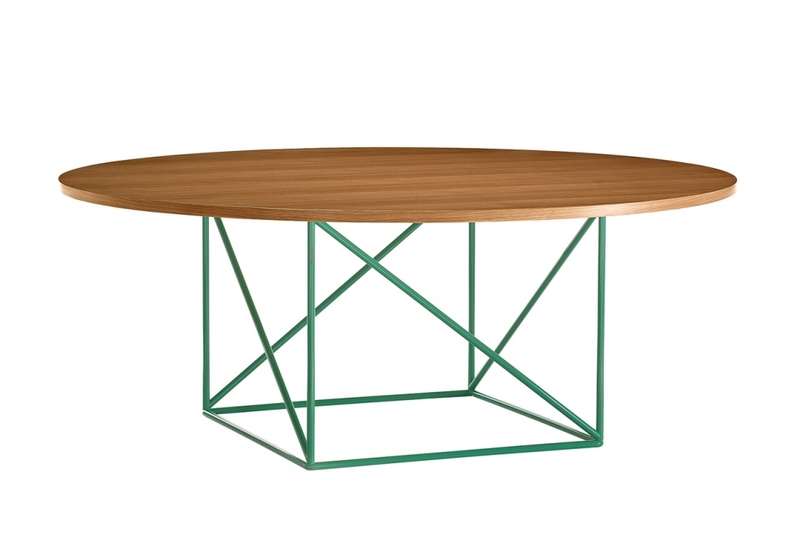 A round table with steel lattice base, polished in LC colours (semigloss grey, green or black) with an oak table top, available in natural matte finish. 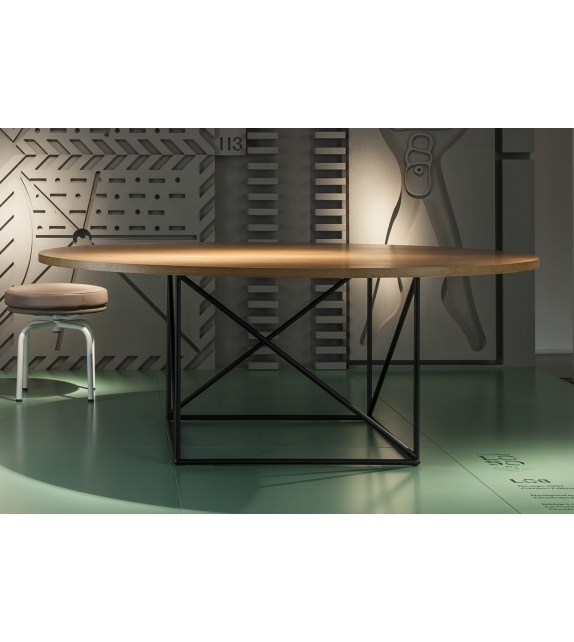 Le Corbusier designed a table in 1958, intended for both home décor and conferences with an organic structure that is also rational at the same time. 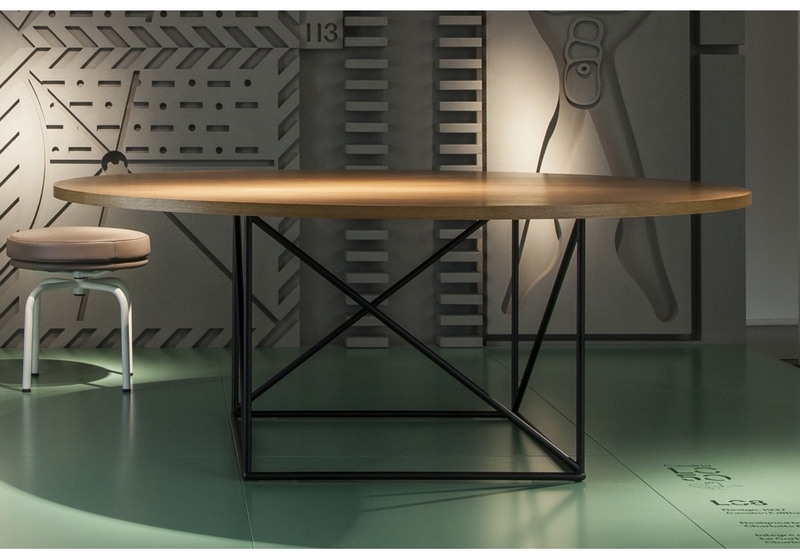 LC15 Table De Conférence is the table designed by Le Corbusier for Cassina. 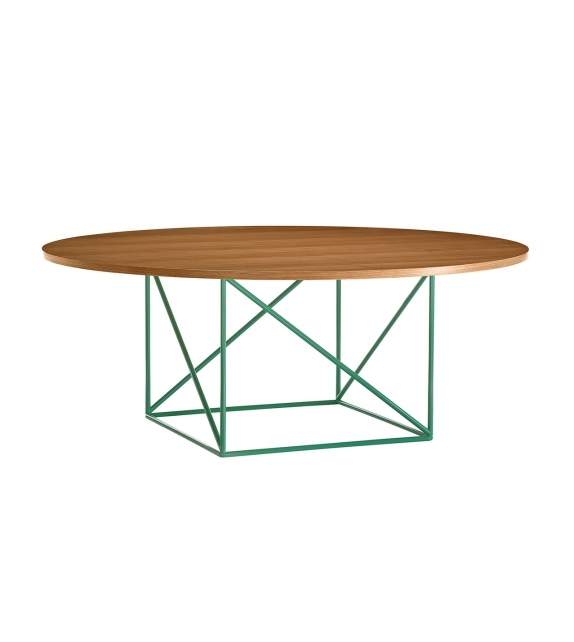 A round table with steel lattice base, polished in LC colours (semigloss grey, green or black) with an oak table top, available in natural matte finish. 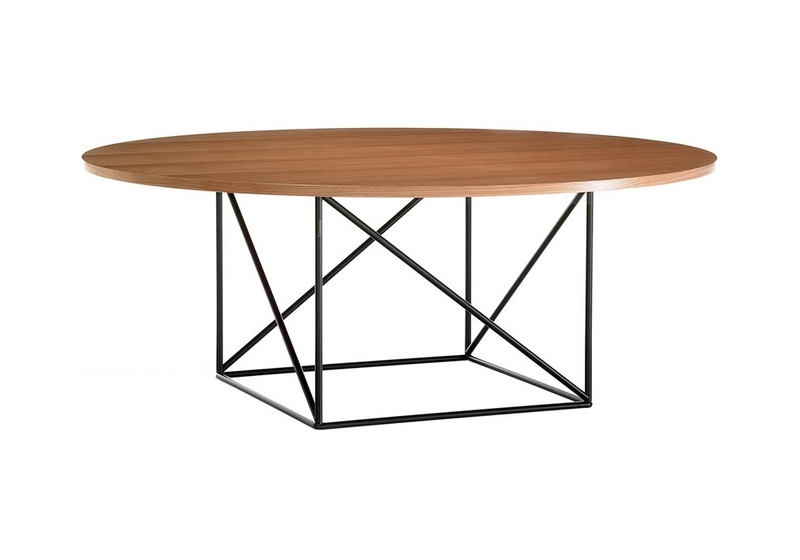 Le Corbusier designed a table in 1958, intended for both home décor and conferences with an organic structure that is also rational at the same time. 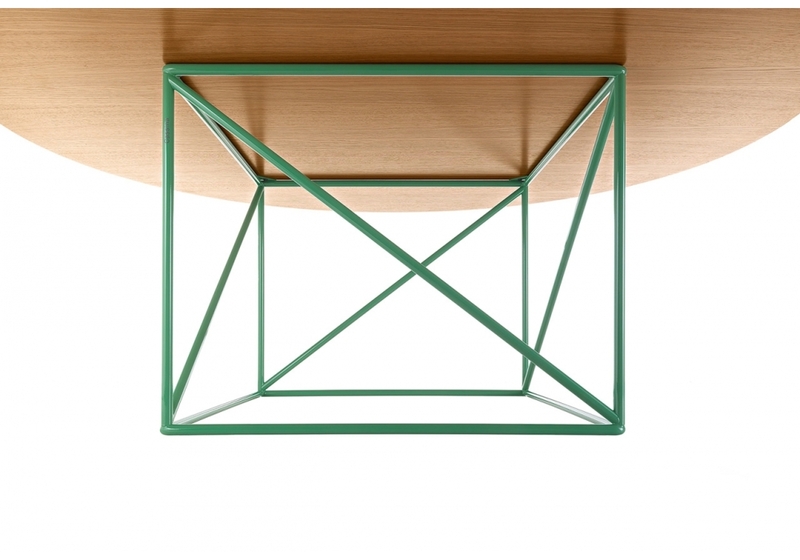  The key to the project is the use of two geometrical fi gures set one against the other. 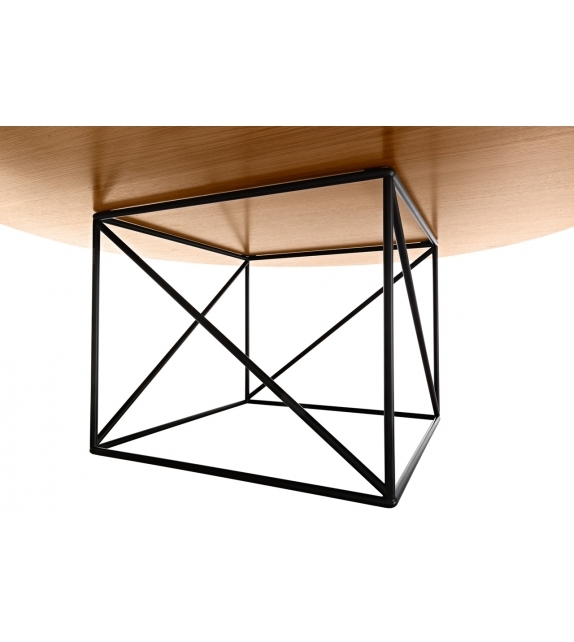 The circle is a sturdy horizontal tabletop in oak and the cube is made of steel tubes, which form a weave of perpendicular levels with outstanding aesthetic value.